Experience a dinosaur's roar, grinding stones, and thunderous cheer when you enter Jurassica. Only a brave explorer dare travel the five colorful realms of Jurassica. 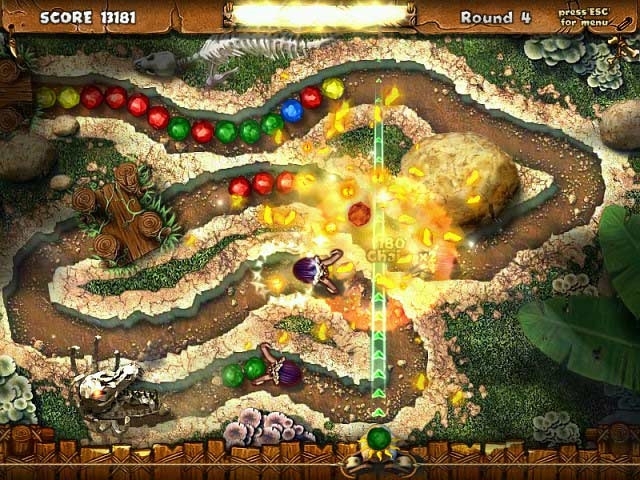 Meander a wild jungle through an endless glacier, and slingshot your way to the edge of a blazing volcano. Own five houses and collect trophies in this rumbling puzzle-arcade game. 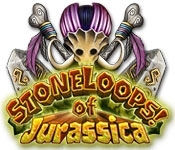 Stoneloops of Jurassica is anything but your typical marble-popping game!